If you're planning to move somewhere new you might be worried about how stressful it would be. But choosing the right removals company means you'll have nothing to stress over. We can help you with the process of moving to a new area without any unforeseen circumstances so as you'll have full peace of mind. If you’re moving to Berrylands, KT5 then contact us on 020 8746 4402 for a reliable and experienced removals company around Berryland who'll take care of everything properly and promptly. With our professional and fully trained staff on hand no job is too large or small when it comes to helping out with all of your removal needs. Perhaps you need a man with a van? 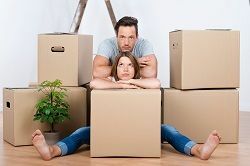 Or maybe you're looking for furniture moving, help with an Ikea delivery or even just need packing materials to do the move yourself, we offer everything you could need for a stress-free move. If you want a chat about some general information, or an obligation - free quote, then we're available to call during working office hours. Ring us today to see how we can make things easier for you during the move. It is a residential area in Kingston upon Thames and it is handily located in Central London and areas outside the capital. Nearby places include New Malden, Surbiton, Chessington, Old Malden and Tolworth. Berrylands railway station is around 24 minutes from London Waterloo by train. There are 4 separate parades of shops, these being Chiltern Drive, Berrylands Road, Alexandra Drive and one smaller parade along the Surbiton Hill Park. At the centre of the area is Chiltern Drive and it houses several small businesses and the Berrylands public house known as 'The Berry'. There is a mixed population in the area which includes locals and commuters. There are well connected bus routes and links to the middle of London by tube and rail. Although it’s very much a semi-detached area there are also a number of detached properties and a few flats. Of note is that on the fork of Elmbridge Avenue and Grand Avenue, there is a vast array of Modernist Art Deco houses built in the 1930's. Looking to move to the Berrylands area? Moving Service is the Moving Company you need! Moving to Berrylands, KT5 is a popular choice given the nature of the area and its location being so well connected to the rest of London. Everyone at Moving Service wants to make sure everything goes well for you and its this ethic that makes us one of the most trusted, professional and reliable removals service across Berrylands. If you want the job done right at an agreeable price, then don't hesitate to call us now! We have a varied range of removal services, man with van quotes, a selection of removal vehicles suited to the size and scale of the job and fully trained teams of professionals! We can help you with packing and disassembly of large furniture items at cost-effective prices and give you the benefit of our movers’ fabulous manoeuvring skills – vital when you’re moving heavy and large items up and down stairs. We can also provide necessary packaging materials that might be needed to assure all your things are safe throughout transit and we’ll clear up the rubbish afterwards! Our full bespoke services are tailored to your specific requirements so if you're looking for a removals company in Berrylands, then you've come to the right place. For a free quote, call us today on 020 8746 4402 and see how we can help you out! These guys are great! Needed their man and van service to move the sofa over to mums in Berrylands KT5. They had no issue with last minute booking either. Nice.